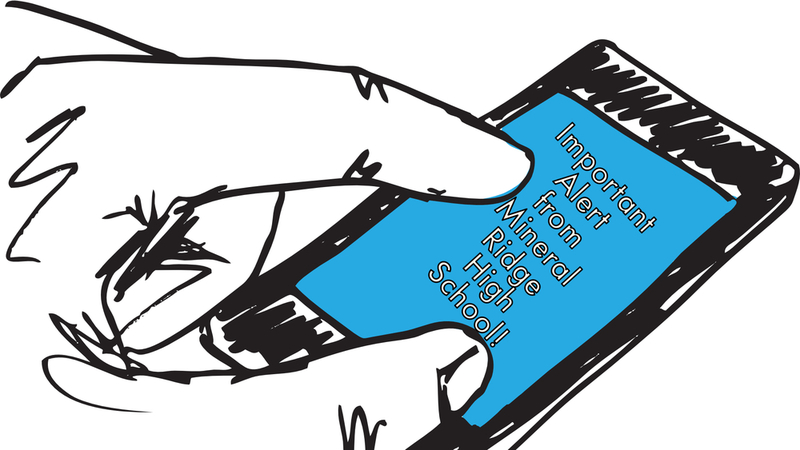 If you would like to receive text alerts from Mineral Ridge High School, please send an email to Mr. Racketa at racketasam@weathersfield.k12.oh.us with your name, your child's name and grade for the upcoming 2018-2019 school year and your cell phone number. Mr. Racketa will add your number to the high school list as well as the student's individual grade list. If your child is attending TCTC this year, we do have a list for those seniors and juniors. If you have any questions, please feel free to contact Mr. Racketa at the email address listed above.